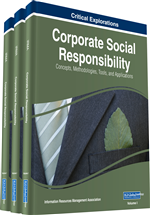 The purpose of this chapter is to define social business and its difference with conventional business type. Governments could not address all the social problems. Because they don't have the knowledge ore the money to do so .however big enterprises have much more resources. Social business is form at the intersection pf social needs and business expertise. Also corporates want to have a good publicity through social responsibility .social business can help them to run social responsibility process through a sustainable approach. The articles reviews the recent literature about social business evolution and definition. And then it goes through social business model literature review to run a social business the definition and models of conventional business models should be redefined. Finally it compare the different Social business models and introduces the social business components in the end there are two cases from Grameen group one of the leading social groups in the word. The example above was the story of one the most successful social business experiences in bangladesh.in this case they tried to solve malnutrition problem among the children of Bangladesh. The Grameen group used the expertise of DANONE and tackle to solve the malnutrition problem. The story of this cooperation is in the final case of this chapter.